The farm animals badly needed this win. They have relied heavily on people documenting abuses on harsh “factory farms” and in the slaughterhouses, but a new law in Idaho would have made this illegal leaving the animals defenseless. 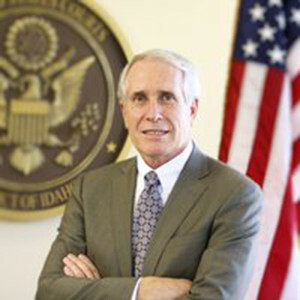 So animal welfare groups cheered the decision on the Idaho law last week from U.S. District Court Judge B. Lynn Winmill. The judge found the state’s “Agricultural Security Act” unconstitutional for criminalizing certain types of speech. This would have not only criminalized legitimate reporting by the news media and advocacy groups, they would have also criminalized whistle-blowing conducted by conscientious workers. What about the handful of other states with similar laws on the books? Laws in Montana, Utah, North Dakota, Missouri, Kansas and Iowa have also made it illegal for workers and activists to smuggle cameras into industrial animal operations. A new North Carolina law goes into effect in January 2016. But now those laws’ days could be numbered, according to the lead attorney for the coalition of animal welfare groups that sued the state of Idaho. Had these laws gone into effect it’s not only the animals who would be hurt. As we have previously reported, abuse of slaughterhouse workers is also all too common. While reporting abuses is very valuable, it is still better to prevent them in the first place and the best way is through a healthy and oh so delicious vegetarian diet.